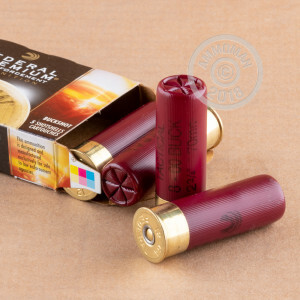 Trust Federal Tactical ammunition to get the job done when your 12 gauge is called into action. These 2-3/4" shells come in boxes of 5 and fire 8 pellets of 00 buckshot at a muzzle velocity of 1,145 feet per second. This gives them massive stopping power without the punishing recoil of hunting loads designed to bring down deer and other larger animals. 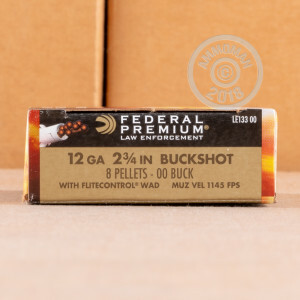 The result is a powerful buckshot load with a relatively fast rate of fire. 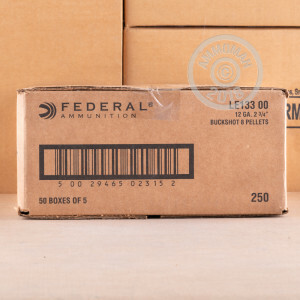 This ammo is loaded in Anoka, Minnesota using Federal's spiral stacking assembly process and the rear-opening Flitecontrol wad, which is known for its excellent patterning. Orders over $99 at AmmoMan.com ship for free--it's that simple!